On September 21, 1938, one of the most powerful storms of the twentieth century came unannounced into the lives of New Yorkers and New Englanders, leaving utter devastation in its wake. The Great Hurricane, as it came to be known, changed everything from the landscape and its inhabitants’ lives, to Weather Bureau practices and the measure of relief New Englanders would receive in the final years of the Great Depression. The storm formed near the Cape Verde Islands on September 10, but was not spotted until several days later, and was predicted by the understaffed Weather Bureau to head toward Florida. Junior forecaster Charlie Pierce correctly projected the northerly storm track, but senior meteorologists ignored his forecast, a mistake that cost many lives—including those of immigrants who had arrived to the Northeast in waves in the preceding decades. 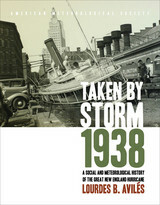 Updated for the 80th anniversary of the hurricane, this compelling history successfully weaves science, historical accounts, and social analyses to create a comprehensive picture of the most powerful and devastating hurricane to hit New England to date. The storm formed near the Cape Verde Islands on September 10 but was not spotted until several days later, and was predicted by the understaffed Weather Bureau to head toward Florida. Junior forecaster Charlie Pierce correctly projected the northerly storm track, but senior meteorologists ignored his forecast, a mistake that cost many lives—including those of immigrants who had arrived to the Northeast in waves in the preceding decades. 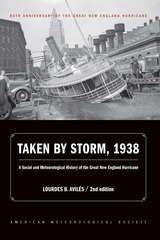 To be published on the storm’s 75th anniversary, this compelling history successfully weaves science, historical accounts, and social analyses to create a comprehensive picture of the most powerful and devastating hurricane to hit New England to date. While recent years have seen undeniable progress in international acknowledgement both of the dangers of climate change and the importance of working to mitigate it, little has actually been done. Emissions continue to rise, and even the ambitious targets set by international accords would fall far short of the drastic cuts that are needed to prevent catastrophe. 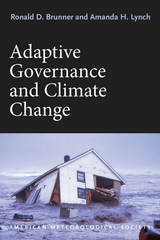 With Adaptive Governance and Climate Change, Ronald D. Brunner and Amanda H. Lynch argue that we need to take a new tack, moving away from reliance on centralized, top-down approaches—the treaties and accords that have proved disappointingly ineffective thus far—and towards a more flexible, multi-level approach. 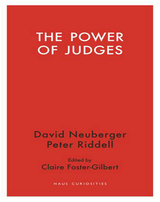 Based in the principles of adaptive governance—which are designed to produce programs that adapt quickly and easily to new information and experimental results—such an approach would encourage diversity and innovation in the search for solutions, while at the same time pointedly recasting the problem as one in which every culture and community around the world has an inherent interest. Today, most people look down when they want to check the weather, peeking at cell phones or popping open a browser, instead of looking up at one of the most accessible weather predictors of all—the sky. Knowing what the atmosphere has in store without relying on technology can be a gratifying experience, and now with An Observer’s Guide to Clouds and Weather, it is also one that is easy to learn. 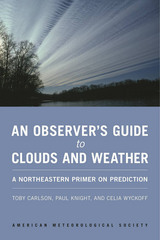 This informative and accessible guide walks readers through the basics of making weather predictions through understanding cloud types and sky formations. 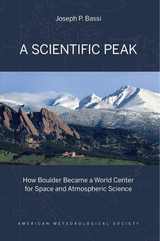 It explains, in nontechnical terms, the science behind the weather, connecting fundamental meteorological concepts with the processes that shape weather patterns. Readers will learn how to develop their powers of observation and hone their ability to make quick forecasts without complicated tools. Whether you're an amateur weather enthusiast or a beginning meteorology student, An Observer’s Guide to Clouds and Weather will help anyone who prefers looking up to looking it up. This guide covers how to reach tenure through service, research, and teaching while empowering your graduate students and maintaining balance between your career and personal life. 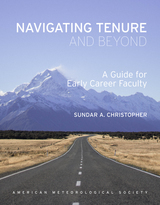 Sundar A. Christopher uses his own experience and hypothetical situations to illustrate best practices in goal setting, developing leadership amid institutional politics, and ways to benefit those you mentor. With a strong focus on research and tenure application and an inclusive point of view, this guide will be a key companion in many a professors’ development. It is generally assumed that, in polite company, you don’t talk politics, religion, or money. But in recent years, it seems “climate change” needs to be added to that list. Incorporating all of the above, few topics can divide a dinner party faster. Yet, while much ink has been spilled on both sides of the issue, few have considered the debate itself and what it reveals about modern culture. 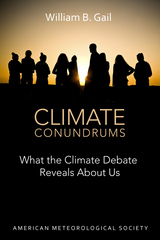 Climate Conundrums is a journey through how we as humans think, individually and collectively, about the debate. It eschews rhetoric or fist-pounding conclusions and instead explores our ongoing attempts to reach a societal understanding about climate change and how we should respond to it. The essays throughout are broadly organized around our relationship with nature, the challenges facing human society, and the path ahead for civilization. Each begins with a question—Can we make nature better? Could science and religion reconcile?—and from there follows an introspective path through all sides of the debates. Some are longstanding issues, such as whether humans are growing increasingly distant from nature. Others are brought on by recent developments, such as whether technology can eventually solve all of society’s needs. While no final answers are given, the insights that come from reflecting on these questions can help us better find our way and better connect with each other across the climate divide. Father Benito Viñes is a fascinating look at the life of a man who worked on the cutting edge of weather science while still remaining devoted to his religious life. It explores Viñes as both pioneer in the study of tropical meteorology and a colonial Jesuit priest. With notes that put his life into modern context, this book puts a much deserved spotlight on a figure who played a crucial role in making our lives safer. Everybody can be a thinking person when it comes to climate change, and this book is a perfect roadmap. Start a web search for “climate change” and the first three suggestions are “facts,” “news,” and “hoax.” The Thinking Person's Guide to Climate Change is rooted in the first, up to date on the second, and anything but the last. 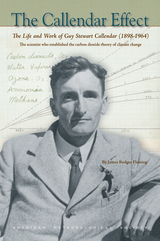 Produced by one of the most venerable atmospheric science organizations, it is a must-read for anyone looking for the full story on climate change. Using global research and written with nonscientists in mind, the Guide breaks down the issues into straightforward categories: “Symptoms” covers signs such as melting ice and extreme weather, while “Science” lays out what we know and how we figured it out. “Debates” tackles the controversy and politics, while “Solutions” and “Actions” discuss what we can do as individuals and communities to create the best possible future. Full-color illustrations offer explanations of everything from how the greenhouse effect traps heat to which activities in everyday life emit the most carbon. Special-feature boxes zoom in on locations across the globe already experiencing the effects of a shifting climate. 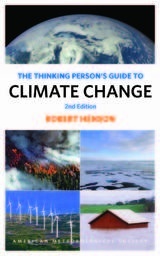 The Thinking Person's Guide to Climate Change combines years of data with recent research, including conclusions from the Fifth Assessment Report of the Intergovernmental Panel on Climate Change. This reference provides the most comprehensive, yet accessible, overview of where climate science stands today, acknowledging controversies but standing strong in its stance that the climate is changing— and something needs to be done. 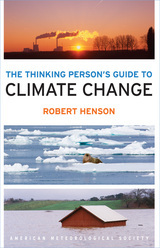 The Thinking Person's Guide to Climate Change is a full update and revision of Robert Henson’s The Rough Guide to Climate Change and is now published through the American Meteorological Society, with distribution through University of Chicago Press. The new edition of The Thinking Person's Guide to Climate Change has been thoroughly updated, including content on new global record highs, new research across the spectrum, and the Paris Agreement to cut greenhouse gases. This reference provides the most comprehensive, yet accessible, overview of where climate science stands today, acknowledging controversies but standing strong in its stance that the climate is changing—and something needs to be done. From low humor to high drama, TV weather reporting has encompassed an enormous range of styles and approaches, triggering chuckles, infuriating the masses, and at times even saving lives. In Weather on the Air,meteorologist and science journalist Robert Henson covers it all—the people, technology, science, and show business that combine to deliver the weather to the public each day. 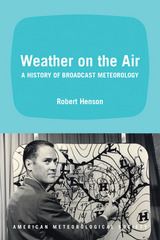 The first comprehensive history of its kind, Weather on the Air explores the many forces that have shaped weather broadcasts over the years, including the long-term drive to professionalize weathercasting, the complex relations between government and private forecasters, and the effects of climate-change science and the Internet on today’s broadcasts. Dozens of photos and anecdotes accompany Henson’s more than two decades of research to document the evolution of weathercasts, from their primitive beginnings on the radio to the high-gloss, graphics-laden segments we watch on television every morning. This engaging study will be an invaluable tool for students of broadcast meteorology and mass communication and an entertaining read for anyone fascinated by the public face of weather. Every day meteorologists sift through a deluge of information to make predictions that help us navigate our daily lives. Instead of being overwhelmed by the data and possibilities, they focus on small bits of information while using frequent collaboration to make decisions. With climate change a reality, William H. Hooke suggests we look to meteorologists as a model for how we can solve the twenty-first century’s most urgent environmental problems. Living on the Real World explains why we should be approaching environmental issues collaboratively, each taking on a challenging aspect and finding solutions to small parts of the larger problem. It outlines current crises brought about by climate change and extreme weather, including effects on food, water, and energy, and then explores the ways we can tackle these problems together. 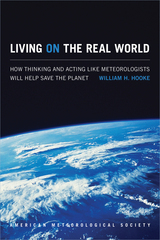 Blending science with a philosophical approach, Hooke offers a clear-eyed analysis as well as an inspiring call to action. Everyone from scientists to politicians, educators to journalists, and businesses large and small, can—and must—participate in order to save the planet for generations to come. The past decade has been characterized by remarkable advances in meteorological observation, computing techniques, and data-visualization technology. However, the benefit of these advances can only be fully realized with the introduction of a systematic, applied approach to meteorological education that allows well-established theoretical concepts to be applied to modernized observational and numerical datasets. 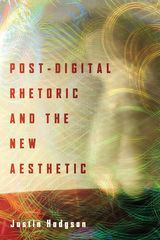 This textbook links theoretical concepts to modern technology and facilitates the meaningful application of concepts, theories, and techniques using real data. As such, it will both serve those planning careers in meteorological research and weather prediction, and provide a template for the application of modern technology in a classroom and laboratory setting. 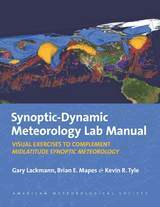 Synoptic-dynamic meteorology, synoptically driven mesoscale phenomena, weather forecasting, and numerical weather prediction are covered in depth in this text, which is intended for undergraduates and beginning graduate students in the atmospheric sciences. One of the greatest challenges facing atmospheric science instructors is helping students link theoretical and mathematical concepts to the real atmosphere. The past decade has been characterized by remarkable advances in meteorological observation, computing techniques, and data-visualization technology. However, the benefit of these advances can only be fully realized with the introduction of a systematic, applied approach to meteorological education that allows well-established theoretical concepts to be used with modernized observational and numerical datasets. 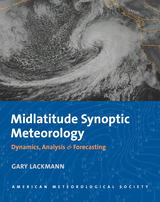 This lab manual is a tool designed just for this purpose; it links theoretical concepts with groundbreaking visualization to elucidate concepts taught in the companion textbook by Gary Lackmann, Midlatitude Synoptic Meteorology, the most current text available on modern weather forecasting techniques. 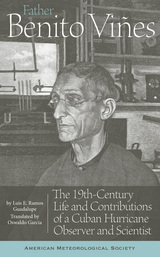 When used in concert with Lackmann’s book and its companion CD of lecture slides, this lab manual will guide students in using contemporary observational and visualization techniques to provide in-depth understanding of fundamental concepts and serve as a catalyst for student-led innovation and application. With topics considered in an order that reinforces and builds upon new knowledge in meteorological observation and analysis, these materials will help students to deepen their understanding of synoptic-dynamic meteorology, synoptically-driven mesoscale phenomena, numerical weather prediction, ensemble prediction, and more, and put this understanding into practice. Security threats today are increasingly complex, dynamic, and asymmetric, and can affect environmental factors like energy, water, and food supply. As a result, it is becoming evident that the traditional model of nation-state based security is incomplete, and that purely military capabilities, though necessary, are insufficient to protect the United States and other democracies from the array of threats that challenge liberty and the free flow of people and commerce. A more complete picture of modern national security requires a more complete integration of the question of environmental security. The purpose of text is to better address the many aspects of environmental security and to represent this major area of academic research in an introductory text format that can be used in the rapidly growing number of homeland security studies programs as well as related degree programs. 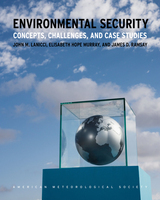 The concepts, challenges, and case studies in this text vitally extended such curricula, giving students a deeper appreciation for the critical role environmental security plays in overall state security, as well as for our nation, our way of life, and indeed for the human race at large. As the space age got underway in the wake of Sputnik, one of the earliest areas of science to take advantage of the new observational opportunities it afforded was the study of climate and weather. 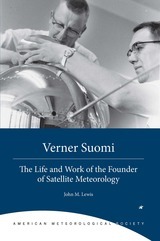 This book tells the story of Finnish-American educator, inventor, and scientist Verner Suomi, who, in those early days of space science, brought his pragmatic engineering skills to bear on finding ways to use our new access to space to put observational instruments into orbit. In 1959, Suomi’s work resulted in the launching of Explorer VII, a satellite that measured the earth’s radiation budget, a major step in our ability to understand and forecast weather. Drawing on personal letters and oral histories, the book presents a rounded picture of the man who launched the field of satellite meteorology—in the process changing forever the way we understand and interact with the weather around us. 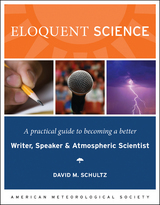 Eloquent Science evolved from a workshop aimed at offering atmospheric science students formal guidance in communications, tailored for their eventual scientific careers. 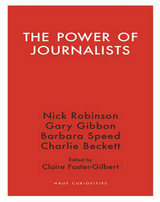 Drawing on advice from over twenty books and hundreds of other sources, this volume presents informative and often humorous tips for writing scientific journal articles, while also providing a peek behind the curtain into the operations of editorial boards and publishers of major journals. The volume focuses on writing, reviewing, and speaking and is aimed at the domain of the student or scientist at the start of her career. 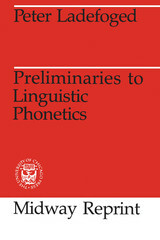 The volume offers tips on poster presentations, media communication, and advice for non-native speakers of English, as well as appendices on proper punctuation usage and commonly misunderstood meteorological concepts. 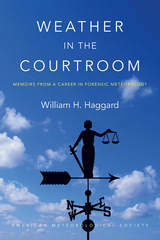 A further reading section at the end of each chapter suggests additional sources for the interested reader, and sidebars written by experts in the field offer diverse viewpoints on reference topics. For almost a decade, economists Kevin M. Simmons and Daniel Sutter have been studying the economic impacts and social consequences of the approximately 1,200 tornadoes that touch down across the United States annually. 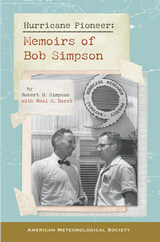 During this time, Simmons and Sutter have been compiling information from sources such as the National Oceanic and Atmospheric Administration and the U.S. Census in order to examine the casualties caused by tornadoes and to evaluate the National Weather Service’s efforts to reduce these casualties. In Economic and Societal Impacts of Tornadoes, Simmons and Sutter present their findings. This analysis will be extremely useful to anyone studying meteorology and imperative for anyone working in emergency disaster management. In 2011, despite continued developments in forecasting, tracking, and warning technology, the United States was hit by the deadliest tornado season in decades. More than 1,200 tornadoes touched down, shattering communities and their safety nets, and killing more than 500 people—a death toll unmatched since 1953. 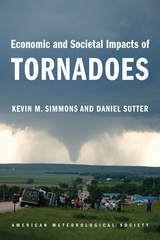 Drawing on the unique analysis described in their first book, Economic and Societal Impacts of Tornadoes, economists Kevin M. Simmons and Daniel Sutter here examine the factors that contributed to the outcomes of such tornadoes as the mid-April outbreak that devastated communities in North Carolina, the “Super Outbreak” across the southern and eastern United States in late April, and the single, mile-wide funnel that touched down in Joplin, Missouri, in late May. In the course of their study the authors identify patterns and anomalies, and reconsider previous assertions about the effectiveness of the Doppler radar and storm warning systems. Their conclusions, as well their assessment of early recovery efforts, are aimed at helping community leaders and policy-makers keep vulnerable populations safer in the future. Though efforts to understand human-caused climate change have intensified in recent decades, weather observers have been paying close attention to changes in climate for centuries. 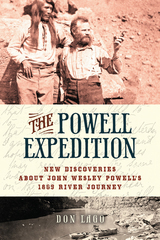 This book offers a close look at that work as it was practiced in Canada since colonial times. 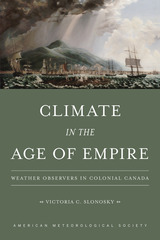 Victoria C. Slonosky shows how weather observers throughout Canada who had been trained in the scientific tradition inherited from their European forebears built a scientific community and amassed a remarkable body of detailed knowledge about Canada’s climate and its fluctuations, all rooted in firsthand observation. Covering work by early French and British observers, the book presents excerpts from weather diaries and other records that, more than the climate itself, reveal colonial attitudes toward it.